The winner of the 13th vote for the new crypto joins CoinDeal! 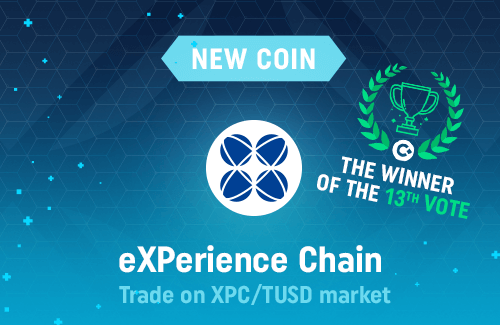 You can trade with new coin - eXPerience Chain on the XPC/TUSD market. eXPerience Chain (XPC) is a community coin that is used in different areas of daily life. The XPC community’s goal is to create a world in which everyone can express and implement their ideas, and XPC is an essential tool for accomplishing this goal.